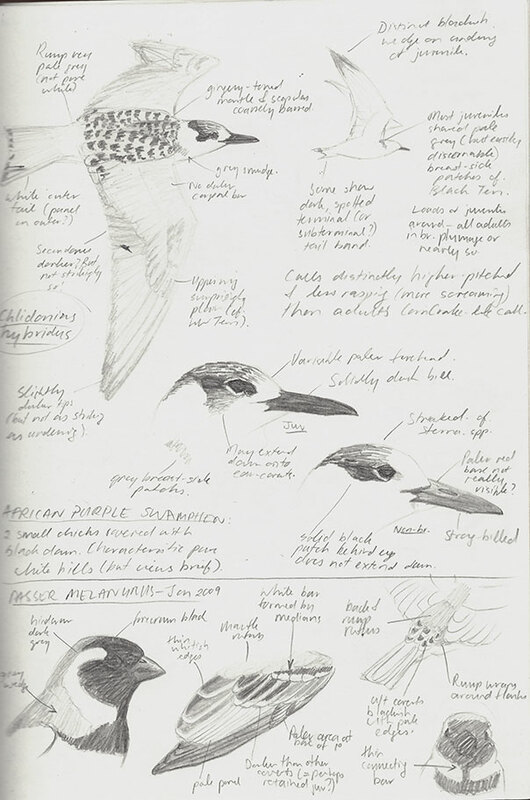 Some notes on the juvenile plumage of Whiskered Tern Chlidonias hybrida, including separation of juveniles from non-breeding adults, and some notes on the slight differences in calls between adults and juveniles. Also on the same page are some brief notes of Cape Sparrow Passer melanurus plumage details – from a bird I scoped in my back yard in January 2009. 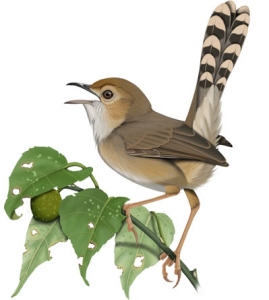 The latter came in handy when I was painting this species for my LBJs book.